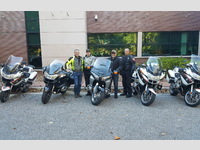 BikeSafe NC: Cary Police Dept. The Cary Police Department is nationally accredited through the Commission on Accreditation for Law Enforcement (CALEA). We exist to ensure the safety and well-being of the community. We accomplish this by delivering the highest level of professional police services possible. 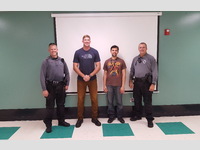 Partnering with the community, the Town of Cary Police Department will provide exemplary policing to ensure that Cary, North Carolina remains one of the nation's safest cities. No upcoming events found, check back regularly as the schedule is updated on a frequent basis.